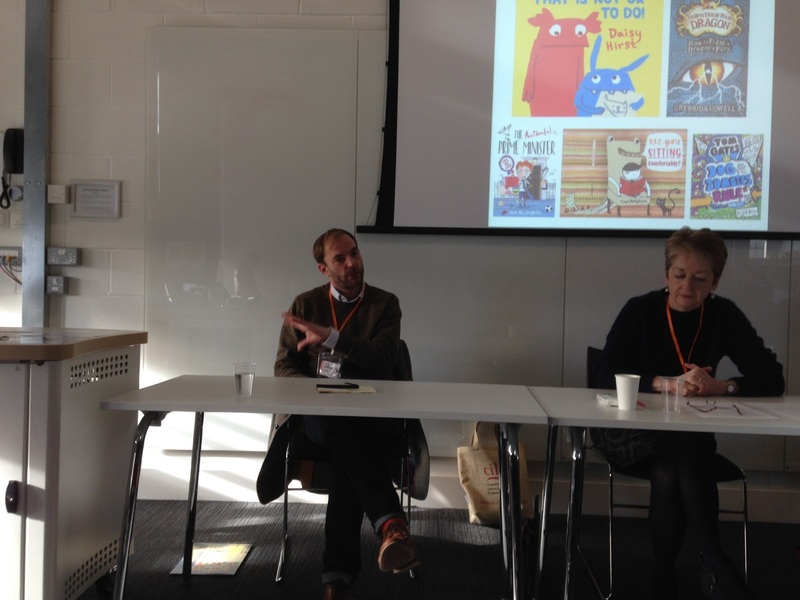 This year's SCBWI Conference in Winchester had a particularly strong turn-out of illustrators! 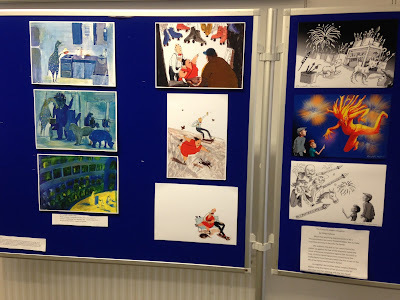 Here's a brief summary of the activities and prize winners. 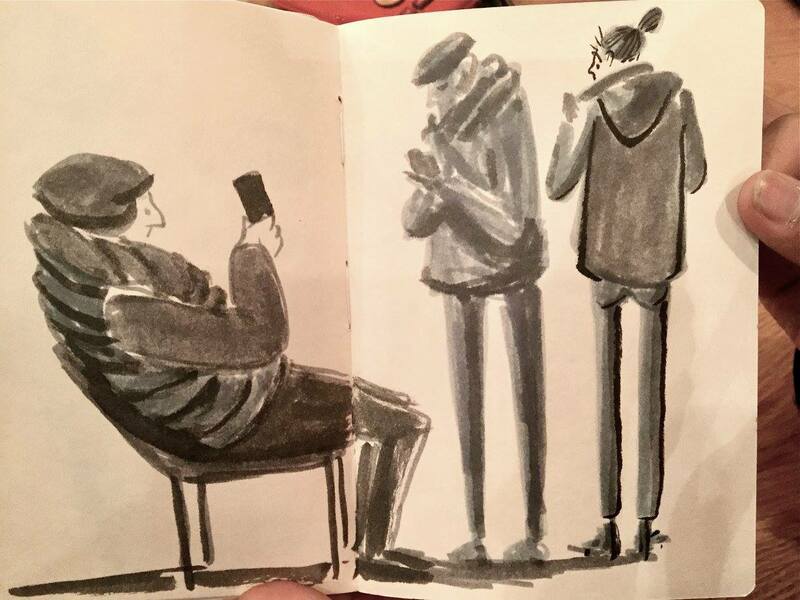 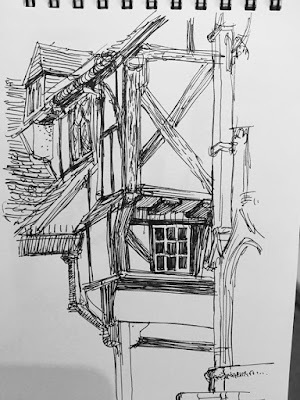 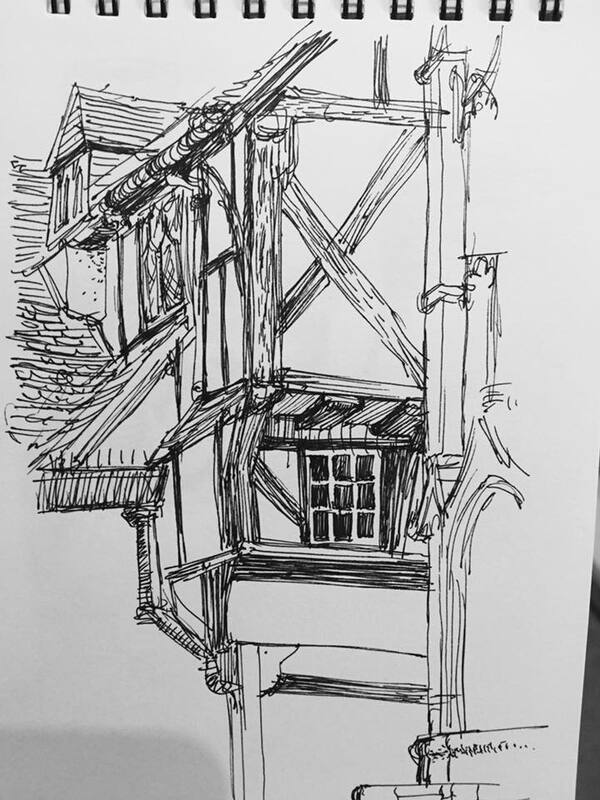 The annual Winchester Sketchcrawl is a Conference fringe event organised and hosted by Paul Morton, with illustrators gathering to draw and sketch in locations around the town. 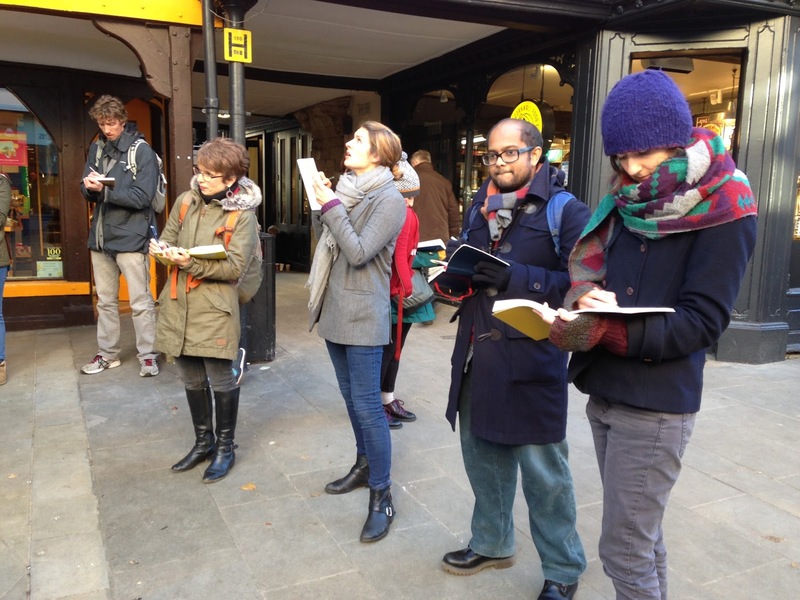 This year's Sketchcrawl had many participating illustrators. 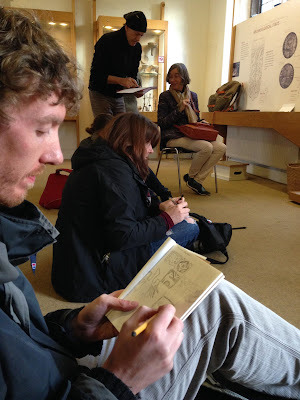 Starting at the Buttercross in the centre of town, we soon moved to the slightly warmer environment of Winchester Museum. The group then wandered around the Christmas German Market and the Cathedral. 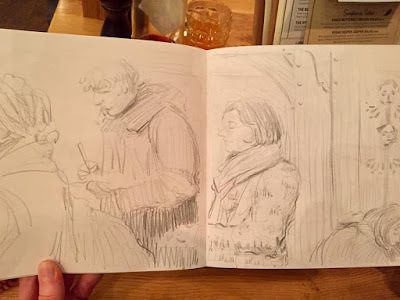 With so much around Winchester to draw, the Sketchcrawl put us all in a very creative spirit, proving the perfect warm-up to the Conference proper. Following introductions and recommendations from the panel, moderator Mike led the questions in a lively debate on recent industry trends, what publishers are currently looking for, submission processes, and the challenges facing picture book writers and illustrators today, at whatever stage of their career. 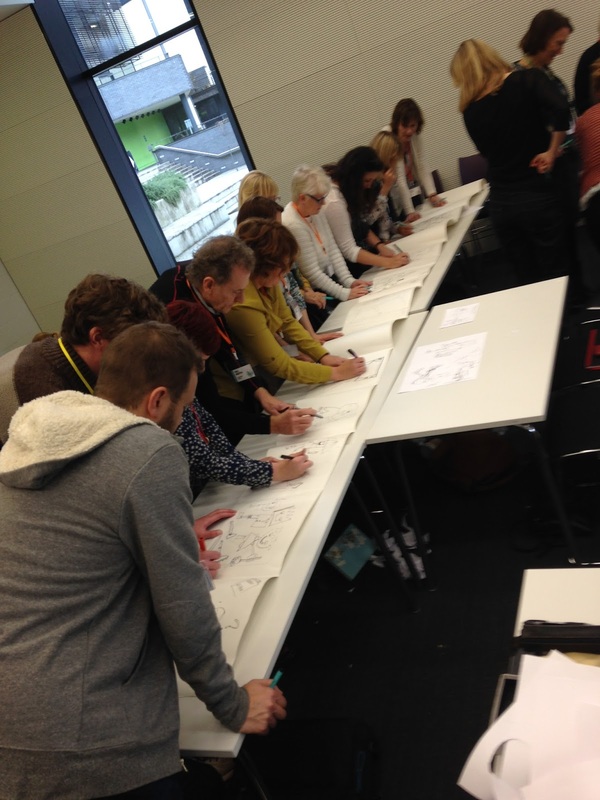 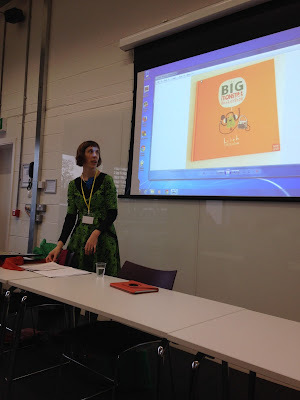 Our keynote illustrator this year was multi-faceted Leigh Hodgkinson. 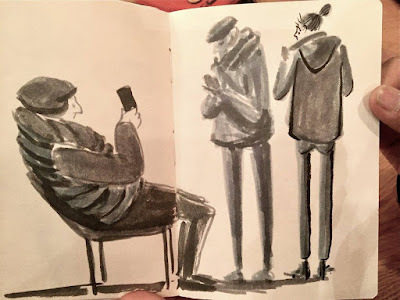 On the main stage she gave a fascinating account of how she began as an illustrator, via work for the Museum of the Moving Image and her path as an accomplished animator for short films. 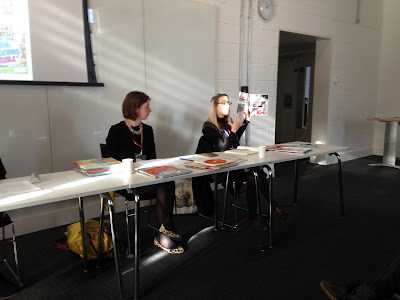 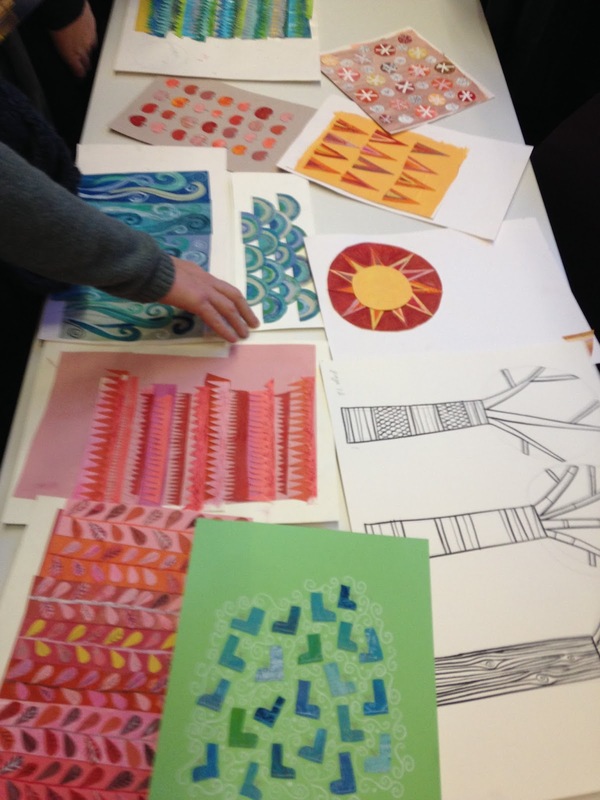 In the follow-up workshop Q&A, Leigh described how she put together her images and planned her books, designing characters, sampling hand-made patterns, scanning and digitally collaging together to make the whole. 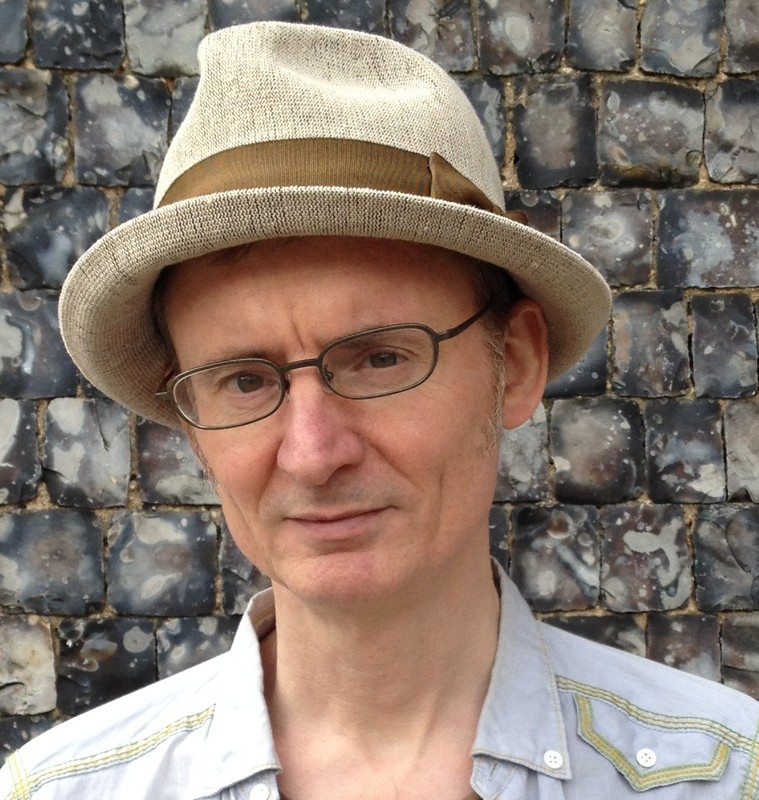 The exuberant Viv Schwarz is renowned for exploring style and approach using improvisation and cut-ups. 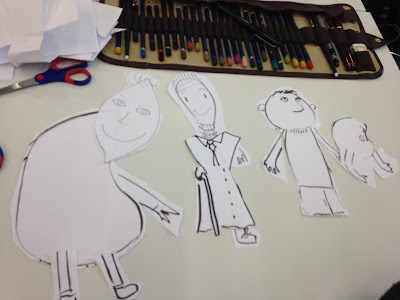 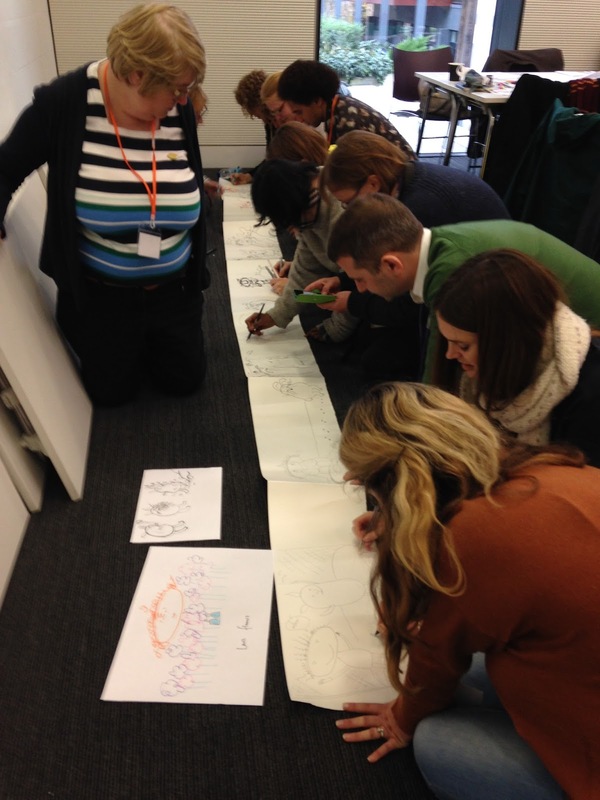 Participants saw their character sketches chopped, swopped and shared across the room, then, with the class divided into four groups, selected characters dropped into long folded-up books to make collaborative dummies. 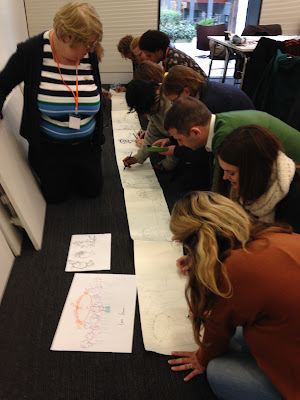 This led to some wonderfully quirky ideas. 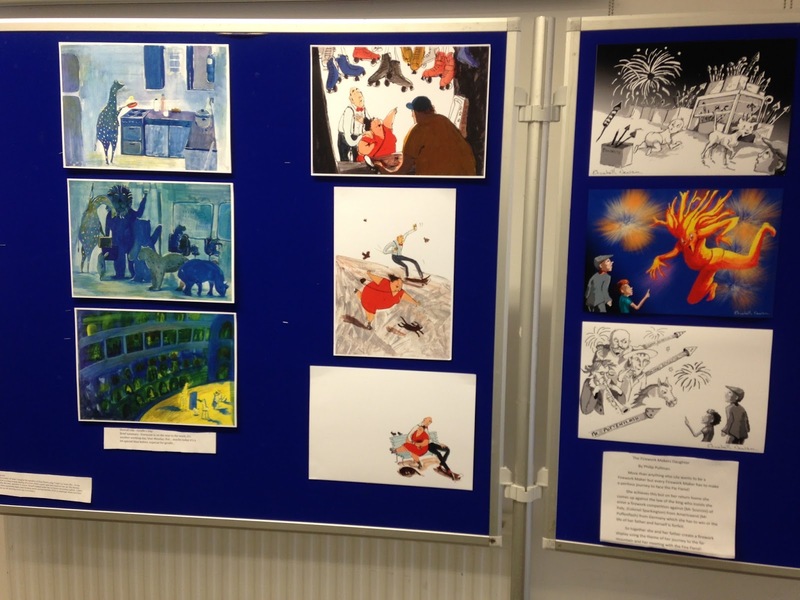 Congratulations to the three shortlisted illustrators; Elina Ellis, Paul Morton and Mrinali Alvarez Astacio! There was a very good standard in submissions this year which made the judges' choices very difficult. 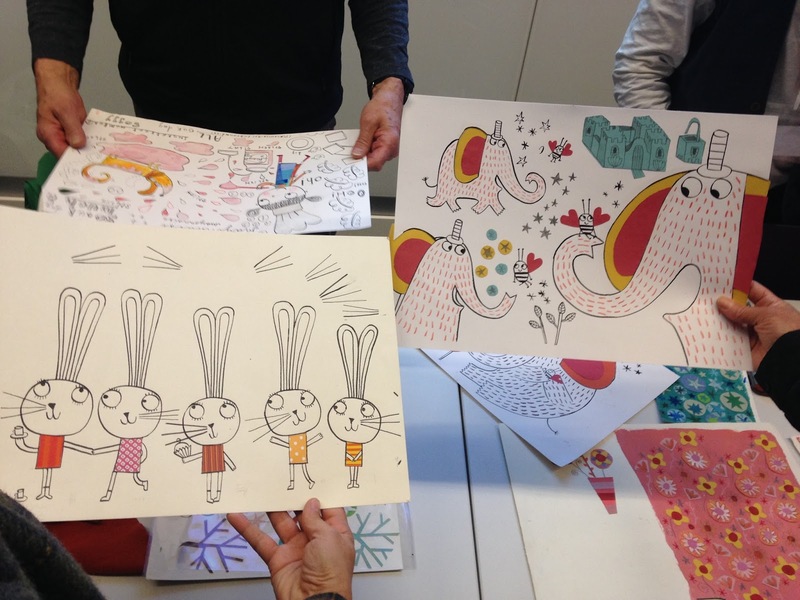 David McDougall, Walker Books, Chloë Morgan and Hannah Whitty of Plum Pudding Illustration Agency will send written feedback to the illustrators about their submissions. The other part of the prize is a free place of the artist's choice on the Illustration Masterclass Series. 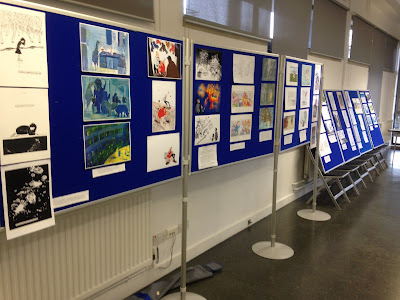 The winning entries will be posted on the For Illustrators page of the British Isles SCBWI site soon. Work in progress: Concept on a book about old people having fun, being quirky and creative. 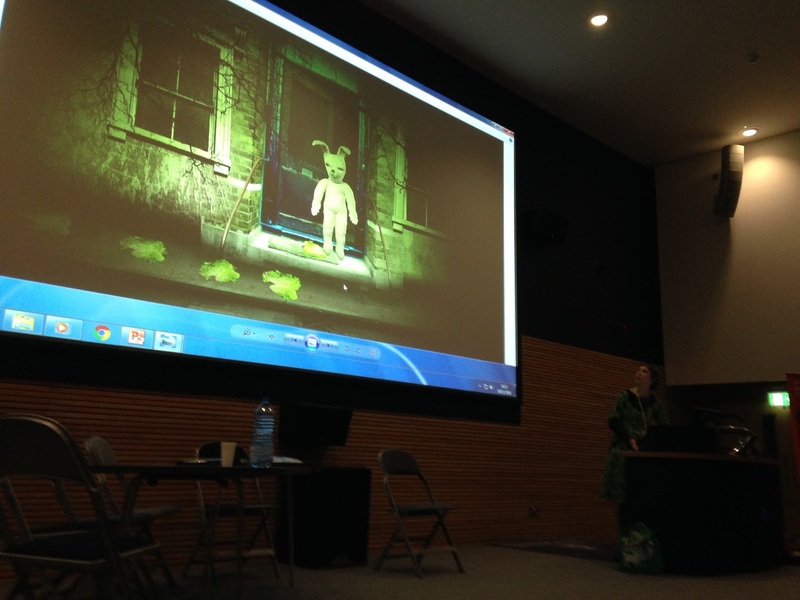 Also, a huge congratulations to Sharon Davey for Best Portfolio Award. 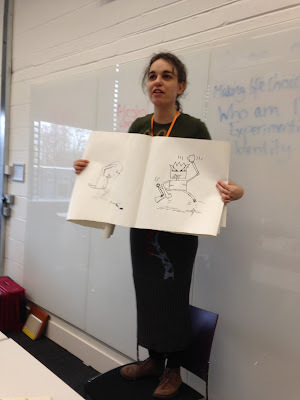 Her prize is also a free place of her choice on the Illustration Masterclasses. Her lovely crocodile will be showcased on the For Illustrators page on the SCBWI British Isles site shortly. Many more images from the Conference can be found on the British Isles Facebook page. 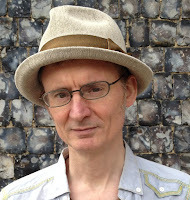 Good report John well done for getting it out so quickly. Makes me more upset at missing Leigh's workshop now, looks good.